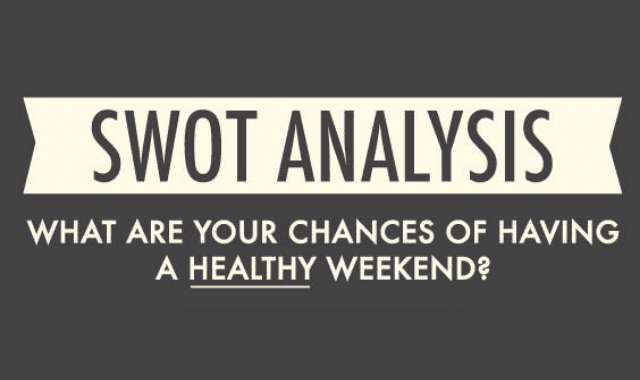 What Are Your Chances of Having a Healthy Weekend? #Infographic ~ Visualistan '+g+"
Motivated to eat well and exercise this weekend? Will that positive motivation be threatened by your love of happy hour, red velvet cupcakes, and sleeping in? Check out this SWOT analysis and see how your strengths and weaknesses stack up.